In the treatment of dental abnormalities, bad bites (malocclusions) and crooked teeth are usually corrected by an orthodontist. 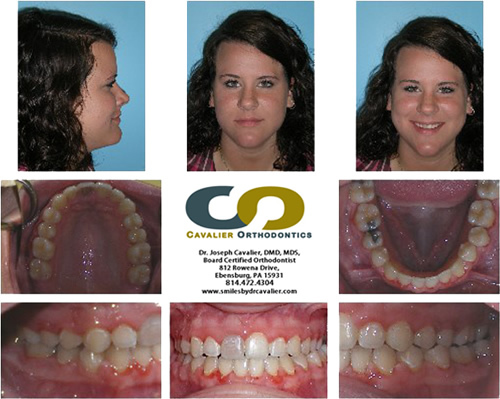 Growth abnormalities of the jaw usually are corrected by an oral surgeon. When both conditions exist, it is common to find the orthodontist and an oral surgeon working together. 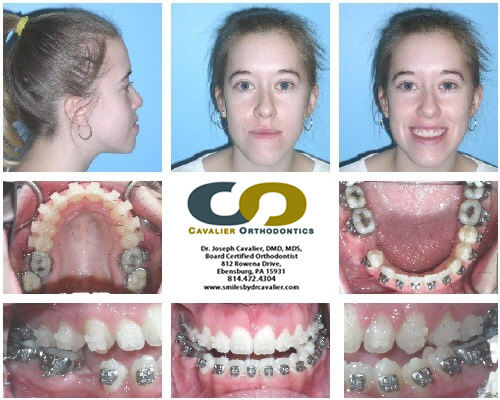 The orthodontics will straighten the teeth and the oral surgery will correct severe cases of bad bites and jawbone abnormalities. This teamwork approach to dental/facial problems provides better oral health for all ages. 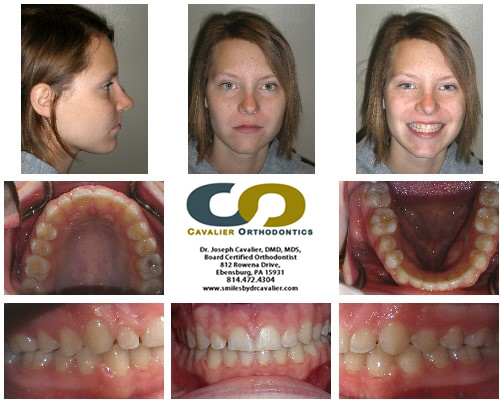 The patients are rewarded with straight teeth, great smiles and facial symmetry: a beautiful combination of shape, form, position and function. 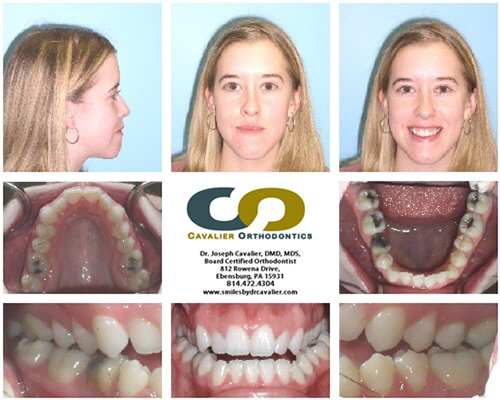 As an orthodontist, Dr. Cavalier prefers to treat patients with braces or Invisalign alone but in some cases additional treatment will be needed to achieve the high standards we set for our results. That could happen when the jaws are too long or too short like underbites or overbites, or jaws are too wide or too narrow, etc. In those cases, a proper bite often cannot be achieved with braces alone. In those more severe cases, the combination of orthodontics (braces) and jaw surgery (oral surgery) may be the only option. 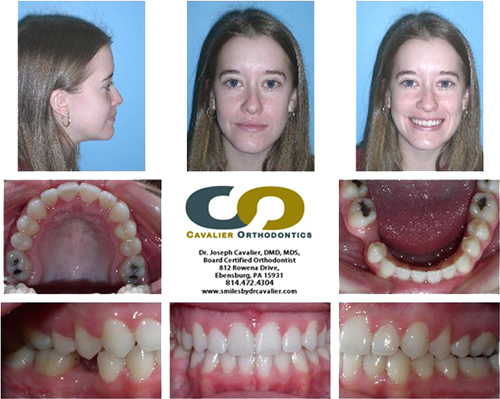 Dr. Cavalier will work with the oral surgeon to formulate a combined treatment plan that includes braces and oral surgery. There are a wide variety of causes of jawbone discrepancies: hereditary, trauma or other developmental problems. Some of the most commonly corrected problems include: a protruding (sticking out forward) chin or reversely retruded (set back) chin; unsightly display of gum tissue above the upper front teeth especially upon smiling; an inability to achieve lip contact when lips are relaxed; overall elongation of the face or other asymmetry. The sequence of treatment is primarily in 3 phases. 1) First, the patient will have a period of orthodontic treatment to align the teeth so they fit together properly after the surgery is completed. 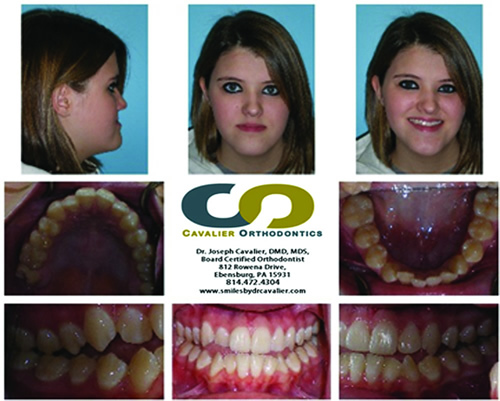 2) Second, with the braces still on, the surgery takes place. 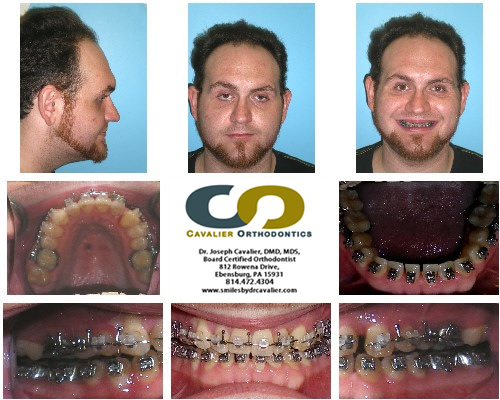 3) Lastly, after surgery, orthodontic treatment continues with the braces to achieve the final alignment of teeth to complement the new facial symmetry. The question â€œCan surgery be avoided?â€ is sometimes asked. Basically, in younger patients that are still growing (facial growth available) Dr. Cavalier has an opportunity to correct the jawbones' discrepancy. This is why timely orthodontics or orthopedic intervention is essential and why the American Association of Orthodontists recommends having children evaluated by age 7. 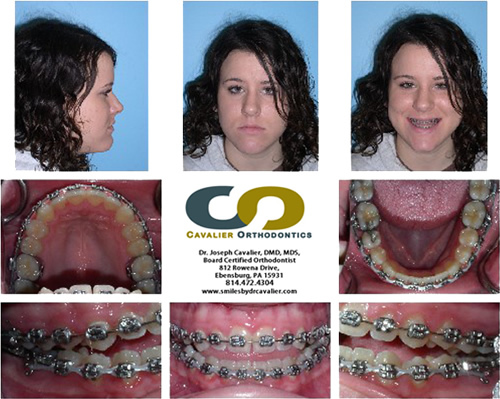 There are several orthodontic appliances to guide the bone growth and possibly eliminate the need for surgery. However, in non-growing patients, the improper tooth/bone relationship frequently is corrected with surgery. The surgical portion of the combination of orthodontics/surgery treatment entails the usual risks inherent with any type of surgery. The procedures are not new or experimental. These are done routinely in oral surgeon's offices and hospitals. Your oral surgeon will explain all of the risks and things you need to know to expect. After the combination of surgery and orthodontic treatment has completed, dental health and facial appearance is improved. No more bad bites or crooked teeth. 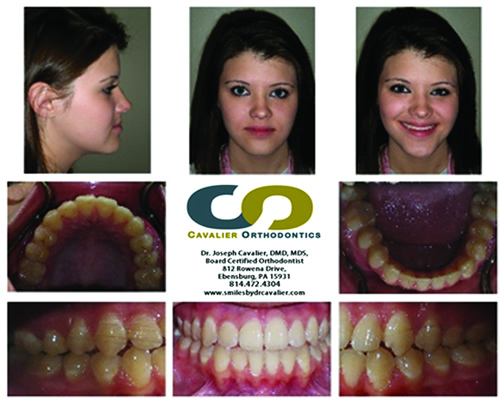 The jaws and profile relationships are more stable, functional and esthetic. That should give the patient more confidence, self-esteem and overall, a healthier, happier person. Chief concern: â€œI have occasional pain in my jaw and want teeth alignedâ€. 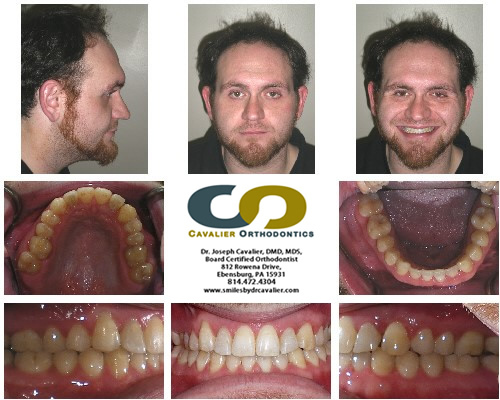 Problems: Lower teeth in front of upper teeth by several millimeters, crowding U/L blocked out upper left eye tooth. Treatment plan: Full braces, Jaw surgery, Post-surgical braces (braces remain on the teeth from start to finish), Lifetime retainers. Problems: Excess gums showing when smiling, Upper front teeth overlap the bottom front teeth 100%, crowding in the lower arch. 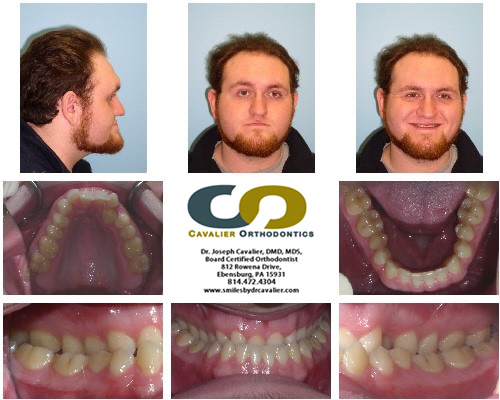 Treatment plan: Full braces, Jaw surgery, Post-surgical braces (braces remain on the teeth from start to finish including jaw surgery), Lifetime retainers. 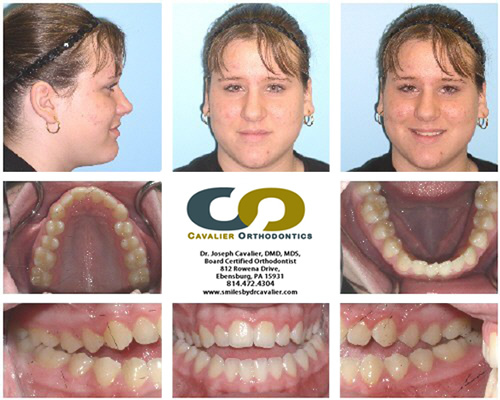 Problems: Lower teeth in front of upper teeth by several millimeters, Crowding U/L, Excess gums showing upon smiling, missing a lower side tooth. Problems: Lower teeth in front of upper teeth, Crowding U/L, Upper teeth aren't overlapping the lower front teeth, no available growth. Trauma to patient's right front tooth: discolored and future dental work needed. Chief concern: â€œI hate the underbiteâ€. Problems: Lower teeth in front of upper teeth, crowding Upper/lower teeth, side teeth do not touch top to bottom, upper front teeth do not overlap the bottom front teeth.